Some things are best when you don’t notice them. 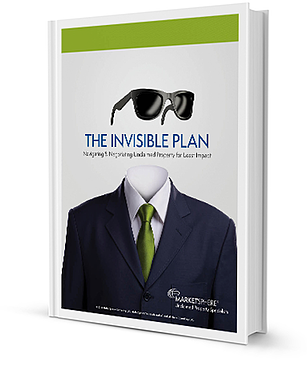 Download this free e-book to reduce risks and make your UP process nearly invisible. Unclaimed property is supposed to be a behind-the-scenes business function, but recent aggressive enforcement through profit-driven third-party auditors has shaken things up and turned the spotlight on unclaimed property—like an annoying party guest who demands everyone’s attention. The job of unclaimed property professionals is to get this unruly guest under control and put the company’s resources back to work focusing on core business functions and values. Enter: The Invisible Plan. In this eBook, read how to plan and implement proven techniques and set up dedicated tools to reduce costs, personnel demands and potential financial risks of unclaimed property in holder companies like yours. The book includes step-by-step advice and checklists to make your unclaimed property system as invisible as possible. When no one mentions it, you know you’ve succeeded. Ask about a pre-audit Exposure Assessment. MarketSphere’s experts are here to help!